At KickStart, we do not find it enough that an increasing number of poor households are acquiring and using MoneyMaker pumps. It is important that we also track and measure the impacts the pumps have on the lives of farming families, and understand the real impacts of our work on poverty. 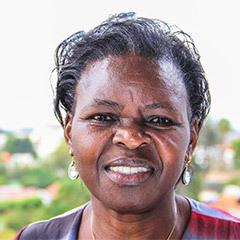 Dr. Beatrice Sakwa, Director of Impact Evaluation & Monitoring. Read more of Dr. Sakwa’s perspective in the Huffington Post. 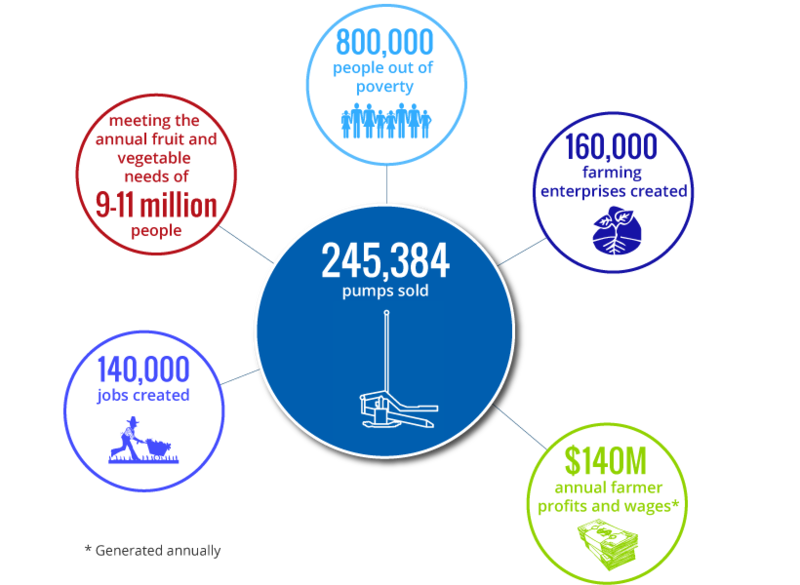 KickStart’s Impact Monitoring ensures that our MoneyMaker pumps do what they are built to do: empower farmers to lift themselves out of poverty. KickStart measures how much more money farmers earn when they use our pumps, as well as their ability to make improvements in their lives, from affording healthcare and education, to improved food security and nutrition. Collecting this information is challenging and time-consuming, but priceless. Many of the farmers live far off the main roads, and with no formal addresses, our enumerators travel long distances, using churches and schools for landmarks to find them. Once enumerators track down farmers, they ask them about their income, health, diet, and family dynamics to establish baseline or “zero age” data soon after a farmer purchases a pump. After 18-24 months, and again after 36-48 months from that initial visit, they return to farmers’ homes to ask the same questions. This allows us to gain a clear understanding of how the MoneyMaker pump has impacted the farmer and their family. KickStart’s most recent 36-month impact monitoring survey confirmed that farmers using our pumps on average earned an additional $700 per year in new net-income from irrigation alone – nearly a 500% increase. Additionally, they increased their total net-annual farm income by over 400%. The extra income they earned through irrigation smoothed out their cash flow, stopped them from falling back into poverty in the dry season, and enabled them to invest in other income generating activities including expanding their farms and buying dairy cows. KickStart is proud of our methodology and proven impacts. Monitoring impacts not only demonstrates that our pumps empower people to improve their lives, but it also helps KickStart understand the changing needs of our farming families in order to serve them better. KickStart’s enumerators also survey farmers on what KickStart can do better and what other products or services they might want. This level of engagement helps build trust in the MoneyMaker brand, and the farmers’ feedback then informs our continued development of new products, programs and outreach.